Priscilla and Brett Donham live happily in a smaller, leaner domicile. When it comes to possessions, are you a "packrat" or a minimalist? How do you manage your tendency to collect stuff? Tell us what you think in the comments section below. Last year, Ronnie Mae Weiss and her husband, Richard Sobol, moved out of their longtime Lexington, Massachusetts, home, where a lovely stream ran through the backyard. Now in Cambridge, they live in a townhouse about half their old home’s size, lacking even a simple patio. In the process, they purged about 75 percent of their stuff. About a hundred raggedy-edged paperbacks went straight into recycling bins, and Donham, through several rounds of purging, ultimately gave about 700 books to annual church sales. “It made me feel better to know they were being recycled, reused, reread,” he says. Then he took a few hundred up to their farmhouse in Maine. The Donhams have also found that having a smaller house, with less stuff, simply opens the door to more time. “You are not spending your time taking care of your house,” he explains. 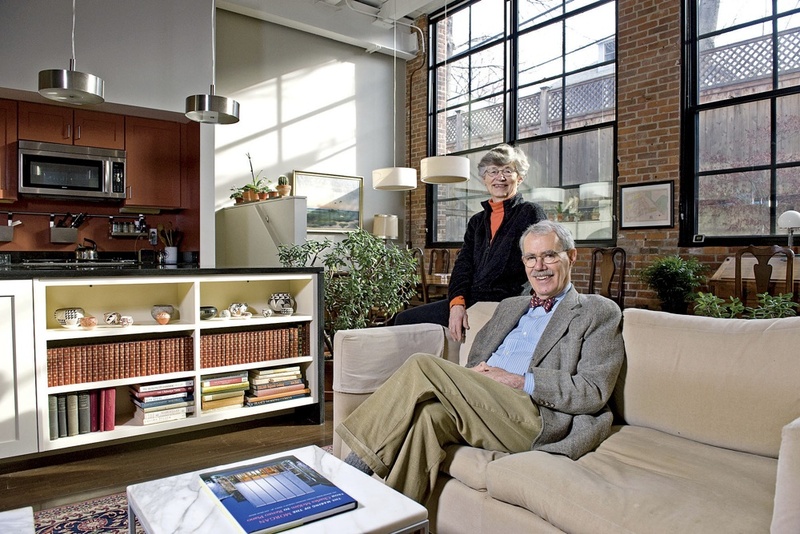 “We’re finding we’re going to museums more, to festivals in Harvard Square, or to art galleries, or just taking walks.” They also more fully appreciate the space they do have, choosing what’s in it more carefully, and making the one dining table (they had two eating areas in the old house) a special place to be. “We are spending more time at dinner together, chatting away,” he reports.